Right out of the horse’s mouth (see photos below); Mark Zuckerberg is about to ban conservative Media and Pages right before the coming mid term elections. 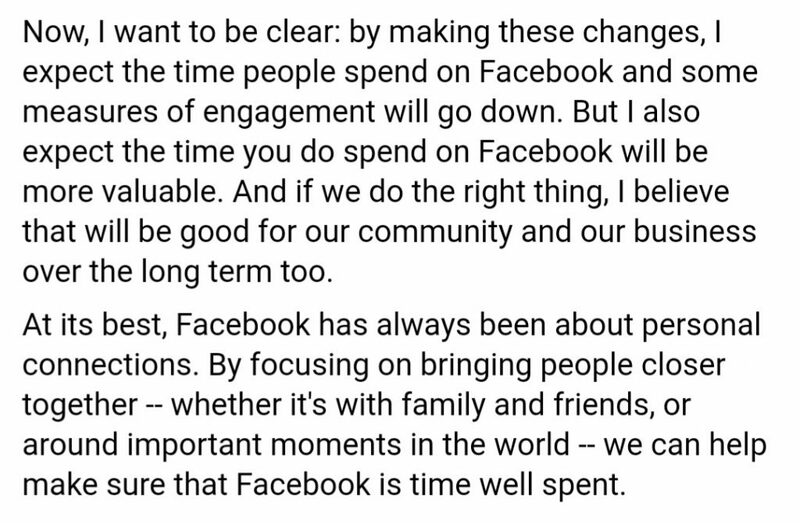 Let me quickly translate what Zuckerberg really said. He said Media Outlets, Pages and Ads will be put to the side of personal posts from Friends on Facebook. But how can he reduce ads without reducing the people (conservatives) that are allowed to advertise on FB? How can reduce the Media presence without reducing Conservative Media presence? How can he reduce the Pages seen without reducing Conservative Pages or their placement in the Algorithms? Why do I say just Conservative? Because it’s Facebook and Mark Zuckerturd! He left a loophole “and the public content you see more will be left to the same standard — it should encourage meaningful interactions between people”. You know what Politics and Pages the Liberal Mark Zuckerberg and his Liberal staff find meaningful; Liberal Media & Pages. 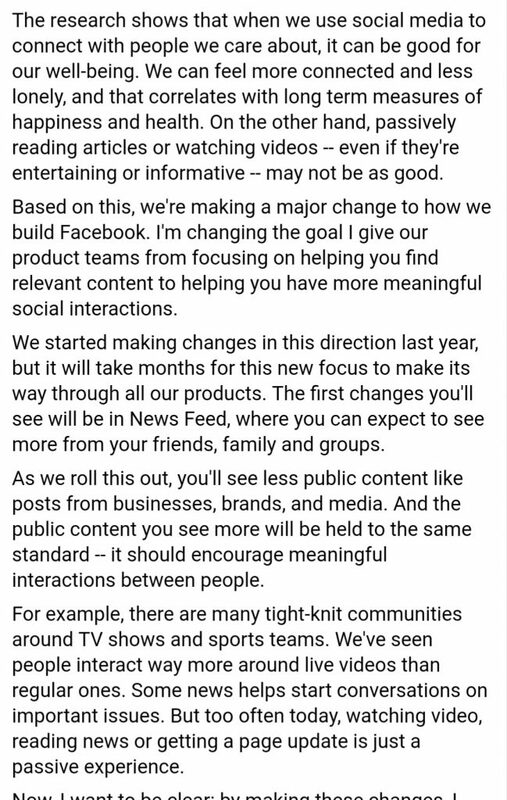 Mark Zuckerturd is about to Purge Facebook of Conservatives, and obviously Conservative content will not be deemed “meaningful”, while Liberal Content that tows the party line will be deemed “meaningful”. 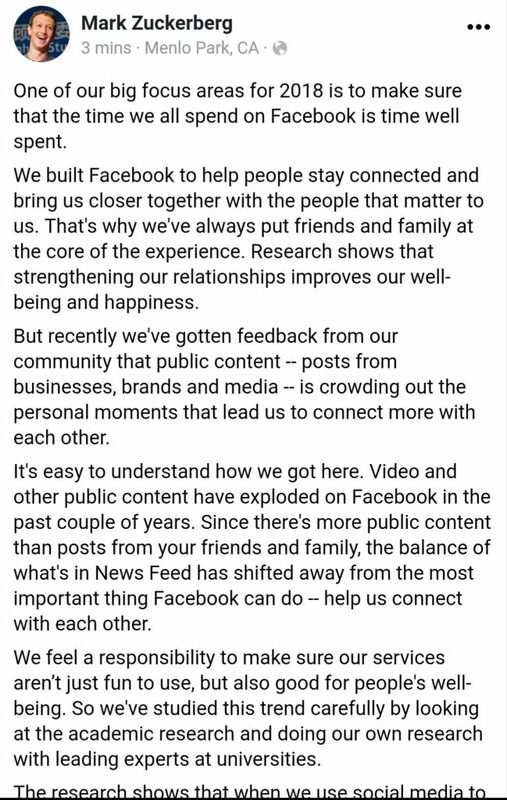 Facebook has been to powerful of a tool for Trumpublicans to Red Pill the Left, so Facebook will be turned into a Leftist Echo Chamber to keep our views from them. And one can assume arguing with “Meaningful Liberal Content” will get you banned quick.